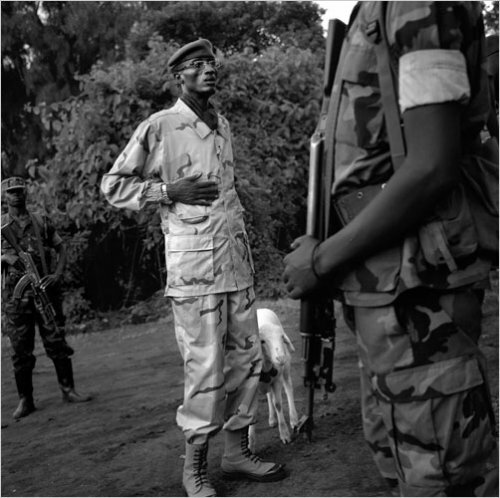 Gen. Laurent Nkunda, the leader of a group of rebels, with his pet goat, Betty, in the mountains of Congo in November 2008. OK, so they say he’s a bad guy… But, anyone that appreciates goats and always looks like a badass in his pictures gets no small measure of respect in my book. Tags: Congo, General Laurent Nkunda, Laurent Nkunda. Bookmark the permalink.